The 2014 WHO et al review of maternal mortality trends showed a global decline in maternal deaths of 45% between 1990 and 2013. The global maternal mortality ratio (MMR) fell to 210 maternal deaths per 100,000 live births in 2013, compared to 380 to 100,000 in 1990. The MMR in developing regions (230) was 14 times higher than in developed regions (16). Sub-Saharan Africa has the highest regional MMR (510) and accounts for the largest proportion of global deaths at 62% (179,000), followed by southern Asia at 24% (69,000). India and Nigeria accounted for 17% and 14% of global deaths respectively. It is important to note that mortality estimates can be generated using different data sources and methodologies. Generally, estimates from different sources show similar trends. This strengthens the evidence for an overall reduction in maternal mortality, but variations may occur due to factors such as data sources, including civil registration systems or health management information systems, which may not be fully functional or accurate: WHO et al (2014) estimate that less than 40% of countries have a complete civil registration system with good attribution of cause of death. This will have an impact on the accuracy of mortality estimates. Similarly different data sources and methodologies prevent direct comparison of some estimates. 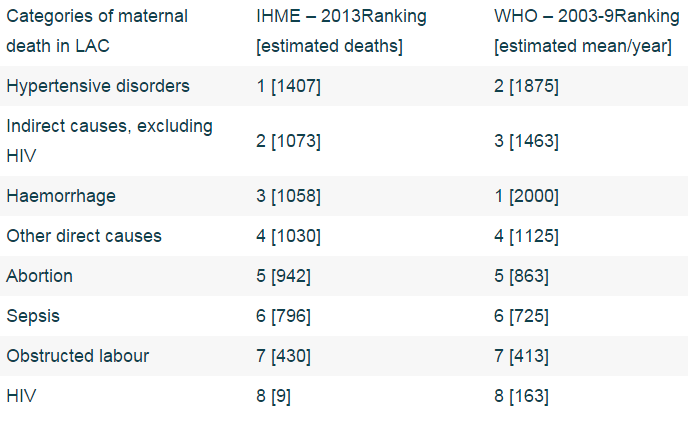 Figure 1.12 provides a country level comparison of estimates of maternal mortality from the Institute for Health Metrics and Evaluation (IHME) and the Maternal Mortality Estimation Inter-agency Group (MMEIG) using Nepal as an example. Take a closer look: What strikes you when interpreting the two sets of data presented on the Nepalese maternal mortality ratio? Both sources independently show a decline in maternal mortality over time, so the evidence for reduction in maternal mortality is strengthened. Consider the confidence intervals carefully. Overlapping confidence intervals raise questions about whether the changes are convincing. You can repeat this comparison yourself by using the interactive maps that the MMEIG and IHME themselves provide. Consider your own context: Select estimates for a given country and critically review the findings. Look at how and why the estimates may vary? What are the potential implications of differing estimates? Given the point above about overlapping confidence intervals, how robust are the estimates for your purposes? Newborn mortality data are generally captured in population based surveys such as the DHS. As with all mortality estimates the accuracy is dependent on the data sources and the classification of deaths; in particular the distinction between early, late and post-natal deaths (see definitions, below). In 2013 neonatal deaths constituted an estimated 41.6% (approximately 2.6 million) of all deaths for under-fives. 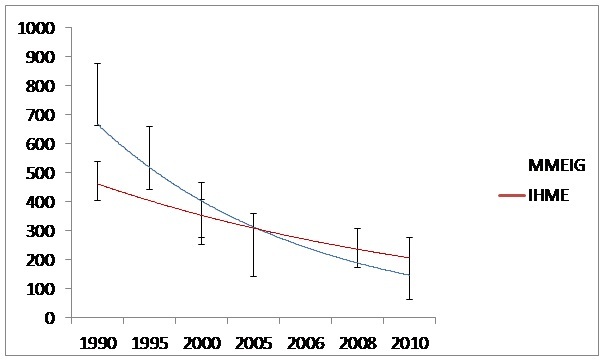 This compared with 37·4% in 1990 (Wang et al 2014). 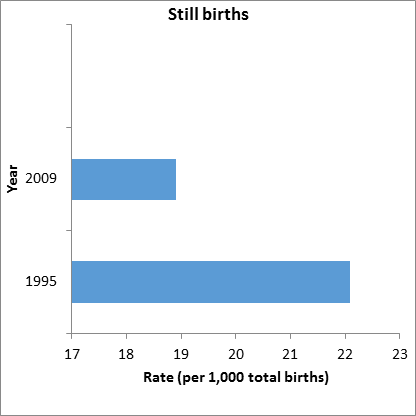 Figures 1.13 and 1.14 show that the rates of stillbirths appear to have reduced from 1995 to 2009. However a recent review found that “the number of annual stillbirths remains unchanged since 2011 and is unacceptably high: an estimated 2·6 million in 2015. Failure to consistently include global targets or indicators for stillbirth in post-2015 initiatives shows that stillbirths are hidden in the worldwide agenda”(de Bernis, Luc et al. 2016). The rates of early neonatal deaths and late neonatal deaths appear to have reduced during this time, but early neonatal deaths are more than double the rate of late neonatal deaths. Early neonatal deaths tend to be more closely associated with pregnancy related factors and maternal health, whereas late neonatal deaths are associated more with factors in the newborn’s environment. Data sources: Cousens, S., Blencowe, H., Stanton, C., Chou, D., Ahmed, S., Steinhardt, L., Creanga, A., Tuncalp, O., Balsara, Z., Gupta, S., Say, L., Lawn, J 2011. Take a closer look: What strikes you about the trends presented for neonatal deaths? The rates of stillbirths appear to be reducing from 1995 to 2009. 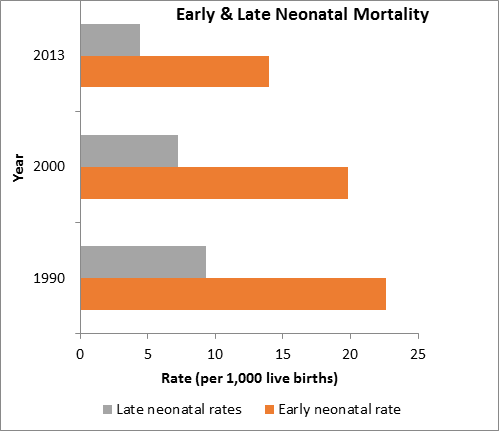 The rates of early neonatal deaths and late neonatal deaths appear to be reducing from 1990 to 2013. Early neonatal deaths are more than double the rate of late neonatal deaths. Question for reflection: Consider why early neonatal deaths continue to be so much higher than late neonatal deaths. Do you have access to data disaggregated by early and late neonatal deaths within your country context? What does it show? What are the main challenges to early neonatal survival within your country context? What are likely to be to the contributing factors within your country context?